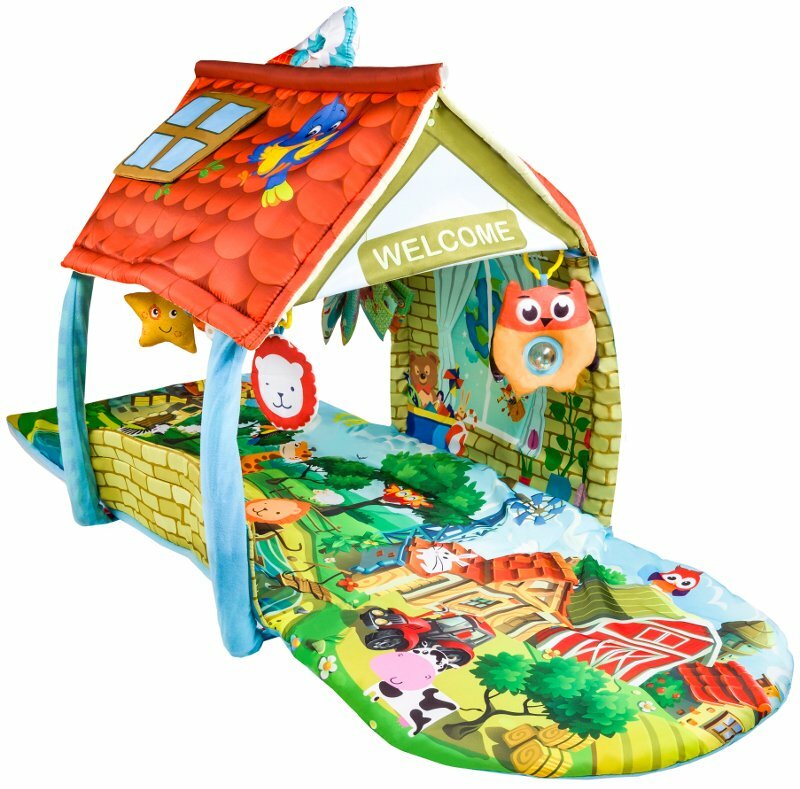 Agnes educational mat will guide the baby to the world of shapes, colours and sounds. Friendly pattern full of intense, contrasting colours stimulate the sense of sight. Interactive toys, rattles and teething rings encourage the baby to reach for them so that it improves its coordination, ability to grip and develops its cause and effect thinking. Thanks to foldable sides and special construction Agnes can also be used as a house-playpen. Various detachable toys with additions: squeak, rustle, teething. Set contains also a special interactive book. Hoops can be configured in various ways – no more monotony!